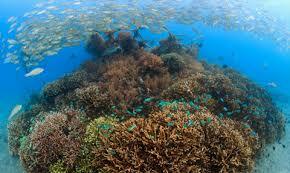 The Gouyave Biorock Pilot Project promises to breathe new life into coral reefs off the fishing capital. 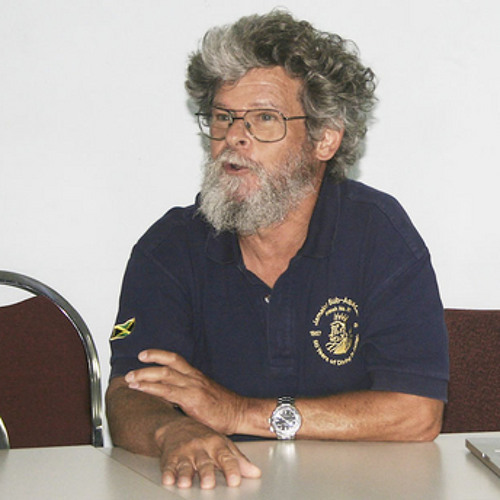 The technology pioneered by German-born architect Wolf Hilbertz (d 2007) is now being implemented by Thomas Goreau, President of the Global Coral Reef Alliance (GCRA). 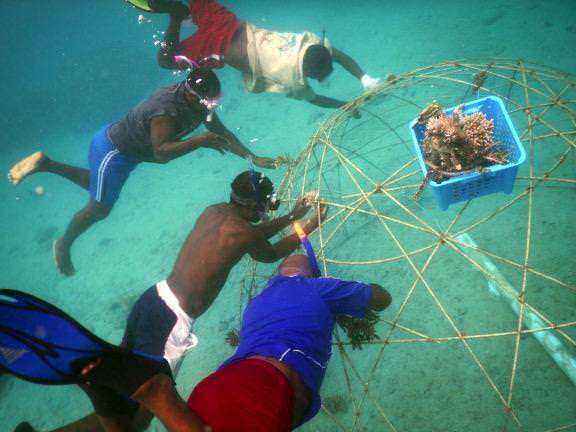 The initiative in Gouyave is being driven by the Grenada Community Development Agency (GRENCODA) through the 5Cs Project in collaboration with the Gouyave Fishermen Cooperative Society with assistance from the Fisheries Division. The system allows for the restoration of coral reefs damaged by the rise in sea surface temperature due to climate change and by the excessive build-up of waste in the ocean from improper waste disposal. According to Goreau, Biorock uses low voltage electricity passed through a conducive steel frame anchored to the seabed. The electrolytic reaction causes mineral crystals such as calcium carbonate and magnesium hydroxide found in seawater to grow on the structure which provides a perfect breeding ground for new coral formation. Corals can also be mounted upon the structure. At a 1-day workshop at the Gouyave Fish Market, Goreau enlightened stakeholders and officials from the Fisheries Division on the success rate of this project in other countries. He referred to one of his most recent successes on Gili Trawangan, the largest of an archipelago of 3 small islands (Gili island triplets) just off the northwest coast of Lombok, Indonesia. 130 Biorock structures submerged in the ocean are described as the most advance BioRock centre in the world. 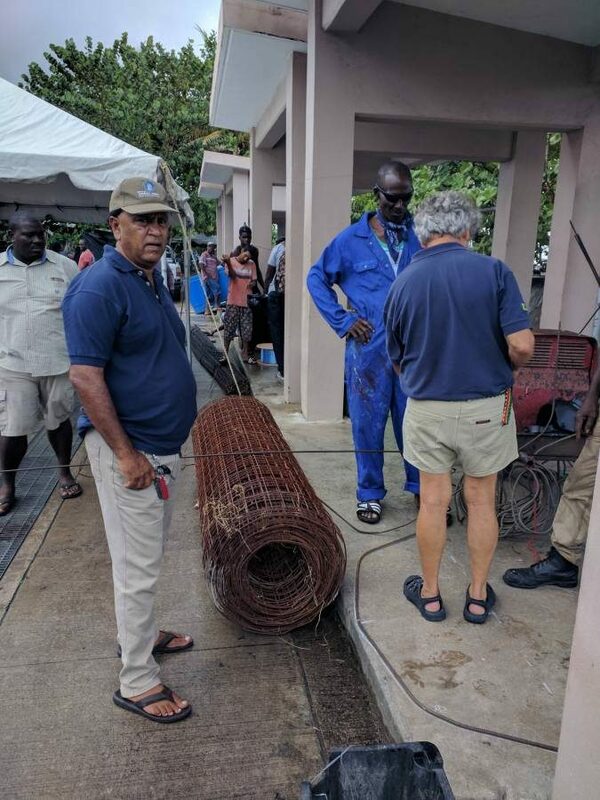 Seven local participants have volunteered to assist in the fabrication of the Biorock steel structure at the Gouyave Fish Market and will help deploy the structure out to sea once its completed.